26mm Intake Manifold. 43mm Air Box Manifold. Complete 150cc Carburetor: Fits most 150cc Chinese Go Karts. 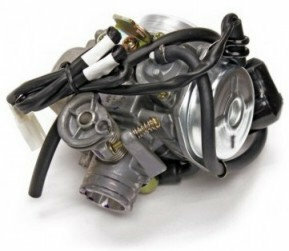 Most carburetors being offered are EPA carburetors that are not adjustable. 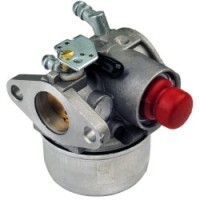 This carburetor is adjustable with an exposed mixture screw to lean or rich the fuel mixture. This replacement Carburetor is not adjusted for your engine. It will need to have the air/fuel mixture screw and idle screwed adjusted to "tune" the Carb for your engine. Your Go-Kart or Light Utility Vehicle may use a manual choke. If so, you will need to remove the auto choke. Adjustable for easier access to the jets. Electric Auto Bystarter Choke. 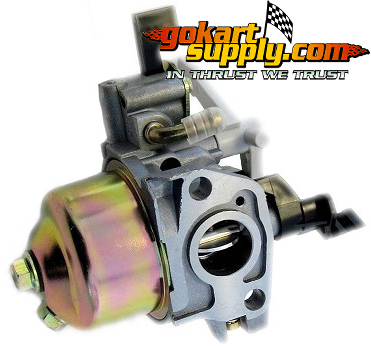 The 150cc Carburetor will fit all the 150cc Hammerhead Go Karts and older Twister Hammerhead TJ Power Sport Models, TrailMaster Go Karts, Yerf-Dog Go Karts, Carter Brothers Talon Go Karts, SunL, Massimo, Roketta, American Sportworks Go Karts, Crossfire Go Karts, Blade Go Karts, BV Powersports Go Karts and many more. Replaces OEM: American SportWorks Part #14925, Hammerhead Part #6.000.024, TJ Power Sports Part #16100-KAT-913-1, TJ Power Sports #16100-KAT-913, Carter Brothers Part #513-3003, Maxxam 150 Part #5133003, Metal Motorsports Part #MT07-039 and Metal Motorsports Part #KT07-039. Designed for 125cc-150cc GY6 Street Scooters, ATV's, Go Karts and Dirt Bikes with 24mm intake and electric choke. Also used on products by Baja Motorsports, Chuanl, Geely, Kymco USA, Peace, Rocketa, Strada, Tank and Vento. Fits Models; Alphasport 150, Baja Dune 150, 2005 Barron Retro 150, Chuanl LB150T-12, KYMCO Agility 125, KYMCO People 150, KYMCO People S125, KYMCO Super 8 150, Peace 150, Schwinn Graduate 150 and Zhong Neng 150T-7C. 150cc Carburetor Dimensions: Overall Depth: 11cm, Overall Width: 10cm, Overall Height: 14.5cm, Connector: 2 pin, Connector Wire Length: 68cm, Fuel Line Length: 28cm +/-, Fuel Line Inner Diameter: 4.5mm, Fuel Line Outer Diameter: 7.5mm, Main Vacuum Hose Length: 18cm +/-, Vacuum Hose with T Length: 19cm +/-, Vacuum Hose Inner Diameter: 4mm, Vacuum Hose Outer Diameter: 7mm, Drain: Yes, Fuel Shutoff: No. Tecumseh Carburetor 640025C. Fits OH195EA, OHH50, OHH55, OHH60, OHH65 Engines.